2. If this is the first time you go to Awards, you must install the module. If you don’t need Awards any more, you can disable the module in Users -> Module settings -> Enable "Awards" feature – just remove a check mark and save the changes. 3. After you have opened the Awards section, you will see the full list of awards, divided into categories. 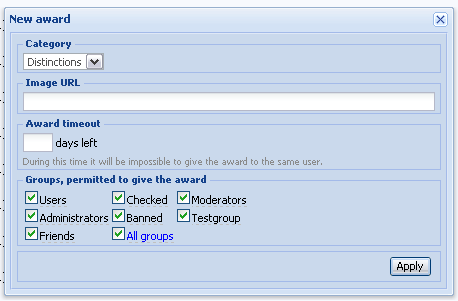 There are basic settings near each award: Timeout, ID and groups that are allowed to give this award. 4. To create a new award click on "New award" in the top right corner. Select a category, specify URL of the award, its timeout and select the groups to be able to give it. 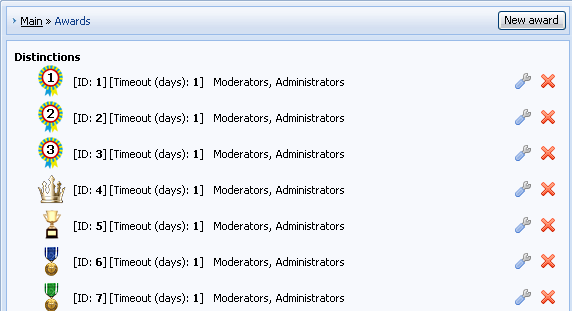 If you want awards to be displayed under avatar, paste the same code into "Appearance of entries" template for forum. 6. 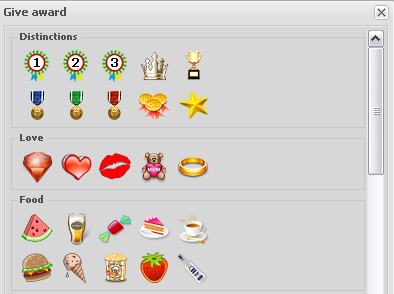 To give an award a user must open another user’s profile and click [ Give award ] . Then select an award and add a comment. 1. 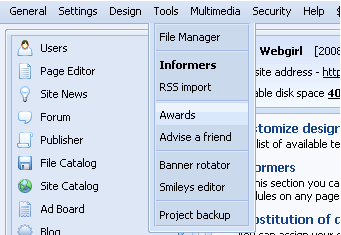 Go to "Informers" section (Control Panel -> Tools -> Informers). 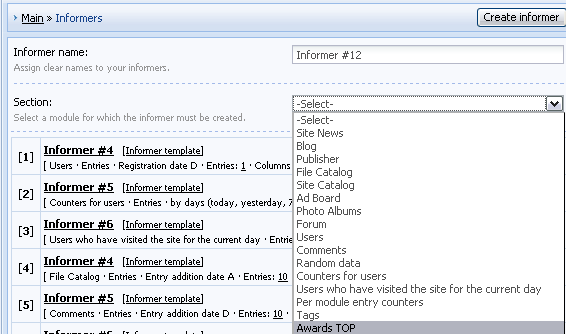 Click "Create informer", enter its name (any) and select AWARDS TOP section. Click "Create". 2. The informer has been created. 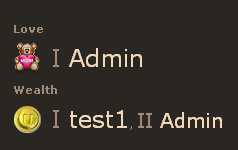 Now paste the code (e.g. $MYINF_1$) into necessary templates. Question: there is the possibility to evaluate posts on this forum (Good/bad post). How can I do the same on my forum?